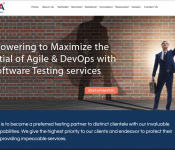 DeviQA Solutions are a hard-working and tight-knit team with first-rate experience in all types of testing including but not limited to full-cycle testing, automated testing for web/mobile/desktop, performance/load/stress testing, QA consulting and audit etc. As a Senior QA team with 10 years of experience we can expertly identify weak spots in your application, setup QA process from scratch, be smoothly integrated in your current team or working independently, recommend improvements, provide dedicated QA engineers etc. 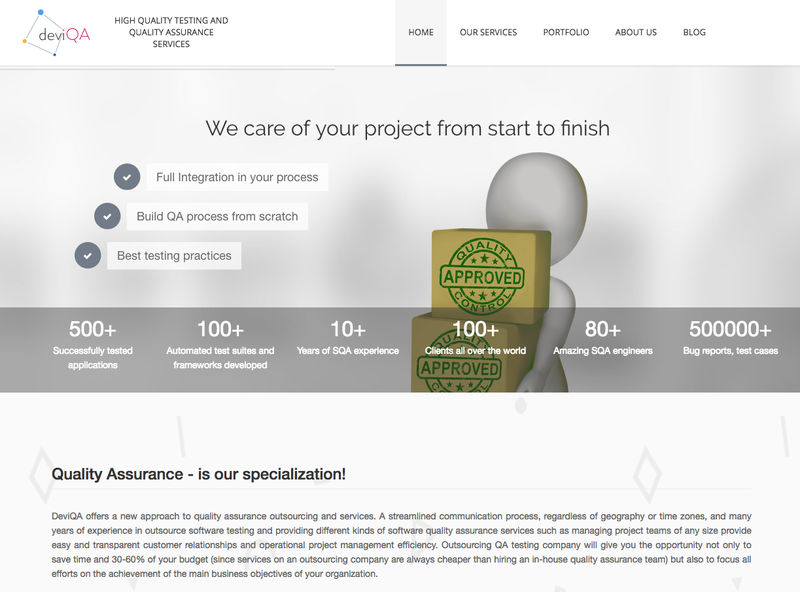 Furthermore, we will be responsible for your project’s quality. 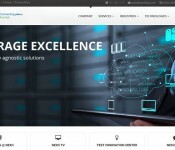 We can offer you robust, timely and affordable Quality Assurance solutions and have experience in complex logic testing. As A-team players who ‘live and breathe’ the project, client satisfaction is our absolute priority.